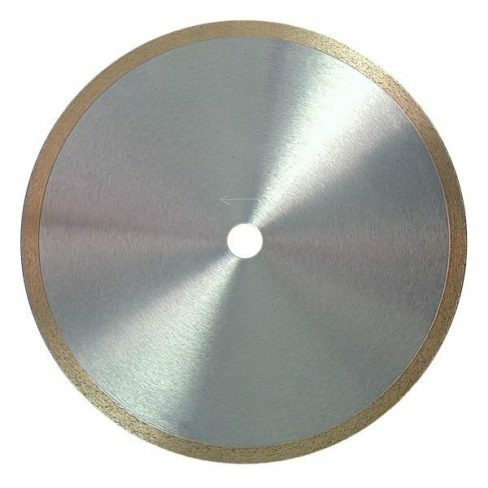 Given the high cost of glass tiles and glass mosaic, when working on a bathroom or kitchen, it is always good procedure to use the CORRECT professional diamond blade. If you don’t you will end up with a very poor result and ruin your material. Glass tile is very brittle and requires an ultra-sharp, soft bonded blade that prevents chipping of the edges. Blades used for porcelain or ceramic tiles will NOT work well. The edges will chip or possibly shatter the tile. For best results use the correct blade. Cut too slowly and use plenty of water to keep the tile from over heating and cracking. Purchasing in Volume? Ask for a Quote! 10" x .065" x 5/8", 12" x .080" x 1", 7" x .065" x 5/8", 8" x .050" x 5/8"